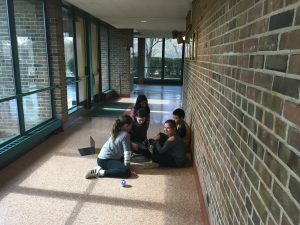 On Thursday March 16, my group(me, Abby, and Corina) taught our second and third lesson. When we taught our lesson a kid who didn’t come came that day, so we had to teach him everything the rest of the group learned. At this point 2 of our students were making the Sphero say weird stuff and making the Sphero hit the wall. Abby, Corina, and I were a little irritated, until they finally understood how to use the commands. Lesson 3 was more of a challenge than a lesson though. We used a ramp for the challenge. The challenge was for the Sphero to roll up and down the ramp and make the Sphero use colors, sounds, and other actions while making a trianlge. When they finished, we played a game called Pong for a few minutes and then our For Ms.Boyer’s class, our students cooperated and we had so much time for a game. Even though they went through the second and third lesson like that, they were okay with what we came up for them even though it was easy for them. Out of all the lessons we thought, I thought that the second lessons were at least better than the first one. 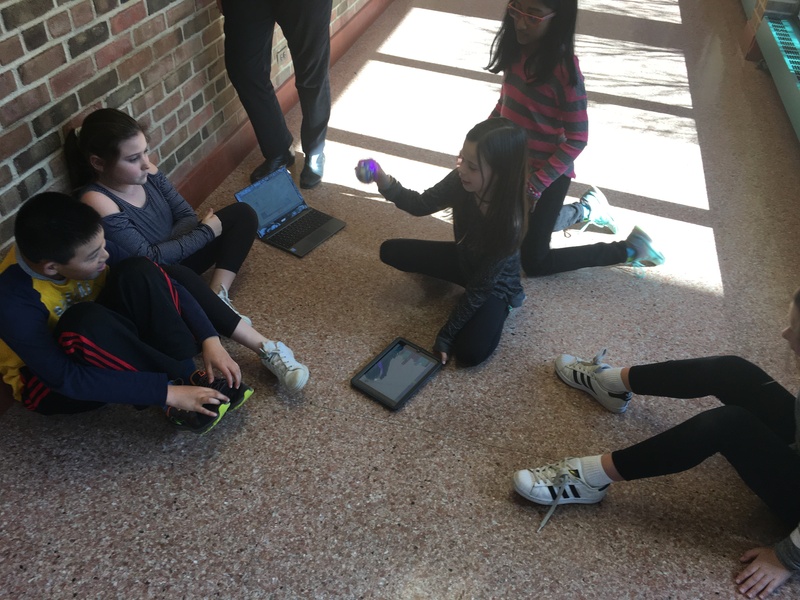 On 3/8/2017, we had our first Sphero Lesson. For my lesson, my partners were Abby and Corina and we were doing an triangle. We did our classes with Mrs. Cooper’s class and Mrs. Boyer’s class. For the first class we did a grand entrance for our Sphero(Lavender) and then we told them commands and then they explored for 5 min. After that, one of our students was mumbling “this is so stupid” and lots of other things. We ignored all the negativity and continued teaching but we didn’t have time for a fun game. For our second class we did a bit better in teaching and our students were eager to learn about Spheros. And at the end they loved the game we played. I think our 2nd class was better than our first one because we realized our mistakes in the first one and improved in the second one. The 1st class was okay because, I think we messed up our wording’s for explaining which commands our which and etc.